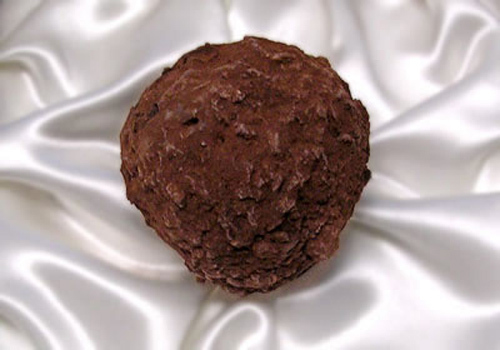 La Madeline au Truffe, created by Fritz Knipschildt (whose shop, Knipschildt Chocolatier, is in Norwalk, Connecticut), has a ganache (rich chocolate center) made of Valrhona dark chocolate. High-quality stuff yes, but is that a legitimate reason for a single chocolate truffle to launch into the triple digits? $250 to be exact. This ganache also contains heavy cream. Well, so do many handmade homemade truffles but we’re not selling those to our friends and families for $250 a pop. Click Here to View a video of how the truffle is made.